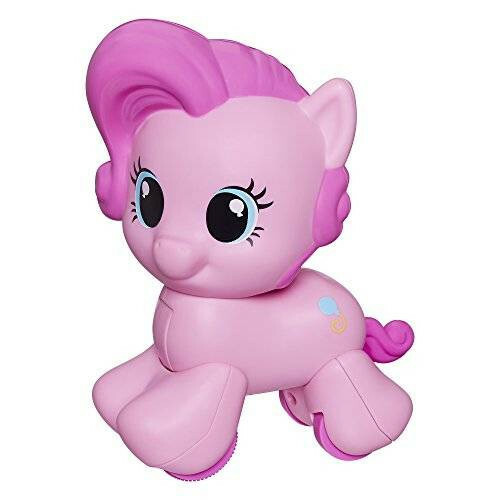 Your little one can discover the fun of My Little Pony toys by Playskool Friends! Cruise along with pony friend Pinkie Pie for all kinds of new adventures. Just reach out and press her head to send her rolling across the floor! 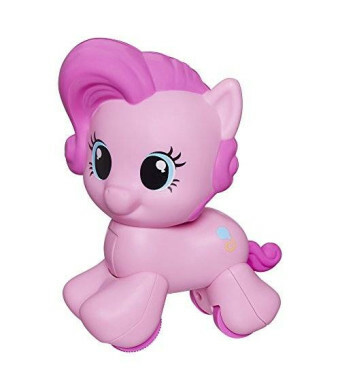 Whether she helps make your little one smile, giggle, crawl, or even run, this adorable pony crawling toy is sure to bring joy to playtime for you and your child. Playskool, My Little Pony, and all related properties are trademarks of Hasbro.